Yogaleggs limited edition Happy slogan yoga sweater. Made from 85% organic ring-spun combed cotton. Suitable for yoga, pilates, running, barre, spinning, gym bunnies and for lazy days spent lounging around. 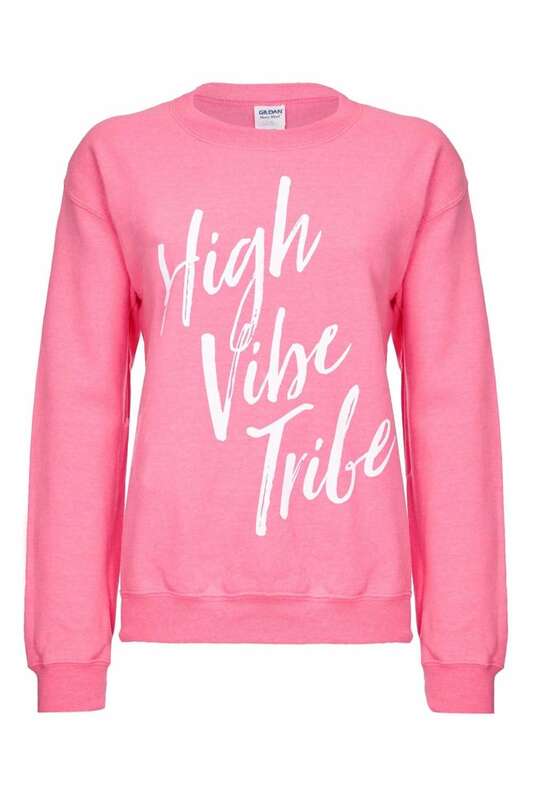 Yogaleggs limited edition High Vibe Tribe slogan yoga sweater. Made from 85% organic ring-spun combed cotton. Suitable for yoga, pilates, running, barre, spinning, gym bunnies and for lazy days spent lounging around.